Wisconsin Gov. Scott Walker endorsed Sen. Ted Cruz (R., Texas) for president Tuesday, months after he ended his own bid for the 2016 Republican nomination. 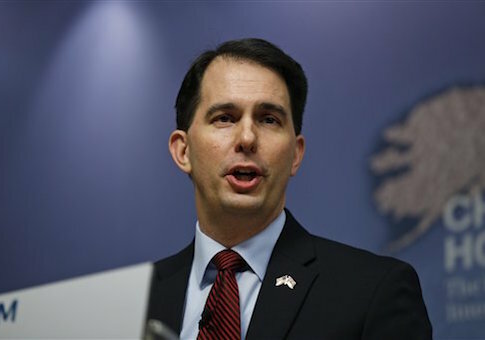 Walker called Cruz a "constitutional conservative" during an appearance on WTMJ radio in Milwaukee Tuesday morning. The endorsement came just one week before voters in Wisconsin head to the polls to cast their votes in the Democratic and Republican primaries. Wisconsin is a key winner-take-most state for the remaining GOP presidential contenders. "I just fundamentally believe that he’s a constitutional conservative," Walker stated, backing Cruz over business mogul Donald Trump and Ohio Gov. John Kasich. After the failed Obama-Clinton Admin, Americans want leadership. I endorse @TedCruz, a principled constitutional conservative who can win. Walker wrote on Twitter that Cruz is not afraid to "stand up" to big government special interests. He labeled the Texas senator the "best-positioned candidate" to win the GOP nomination and defeat Hillary Clinton, the likely Democratic nominee, in the November general election. Walker endorsed Cruz about six months after he ended his own campaign for president. Walker was once believed by some to be a favorite for the nomination. While Trump is ahead of his competitors in the delegate count, Cruz has recorded several key victories, and Kasich has won his home state of Ohio. Speculation has built around the possibility of a brokered convention if Trump does not obtain the number of delegates necessary to capture the nomination outright. This entry was posted in Politics and tagged 2016 Election, Hillary Clinton, Scott Walker, Ted Cruz. Bookmark the permalink.